Steven Cohen discusses how big cities are leading the way to a more sustainable planet. Knowledge@Wharton: Why is this change happening in big cities more than in rural areas? Steven Cohen: Because of their density, cities provide the opportunity to have cost-effective delivery of services such as water, energy, waste management and transportation. As the population of the planet has grown — it’s now at 7.5 billion and will probably peak to 9 billion – the best way for us to live the way we live today is to concentrate population and use that concentration to apply technology to reduce our impact on the biosphere. Knowledge@Wharton: Are cities aware of this and making plans? Cohen: Yes, but they’re not necessarily doing it for the reason I’ve outlined. They’re doing it because cities are now part of a global competition for business and people. If you get off the plane in Beijing and the air is orange, you’re not going to bring your business there. I think [former Mayor] Mike Bloomberg recognized that in New York City. He was no famous environmentalist, but when his deputy mayor said, “We’re going to increase by 1 million people in the next 20 or 30 years,” the mayor started thinking about the energy, the water, the traffic, the housing, the parks and other quality-of-life elements. That’s really a part of what’s driving this, and you see signs of it in the transportability of business. Amazon can conceive of taking 50,000 people for its second headquarters and locating it anyplace in the United States. That’s not something you saw back in the Industrial Age. Knowledge@Wharton: How is New York doing right now? Cohen: New York is doing well. We didn’t realize it, but we almost went broke moving from being a manufacturing city to being a post-industrial city. At the end of World War II, almost half of the gross domestic product in New York City was in making clothing. Last year, it was less than 2%. We don’t make cars, we don’t make clothing in New York. We make ideas. We make public relations. We do finance. We do all sorts of technology-oriented functions, health care. But we don’t make things here anymore because that’s not the high-value-added part of the economy. We inadvertently moved in the right direction. We almost went bankrupt in the process, but losing all of these businesses was actually a good thing because it freed up the space for what they’re doing now. The cover from my book is from the new park called the High Line. The High Line was a freight train from the West Side docks to the factories we used to have on the West Side of Manhattan. The docks are all gone because containerized shipping made New York’s port no longer viable. We were too small. The factories are gone, and now you’ve got high-end boutiques, art galleries, great restaurants. New York has 50 million tourists and a very different kind of economy than we used to have. Frankly, this is the way the economy has moved. In the U.S., 80% of the economy is in the service sector now, so the part of the economy you want to be in is the part that New York has found itself in. Part of what attracts people into this kind of post-industrial city is the sustainability factors, like air you can breathe, water you can ride your bicycle next to, good park access and all the other things I talk about in the book. Knowledge@Wharton: But those changes have an impact on the cost of housing. We see that here in Philadelphia, where certain areas have been revitalized and now it costs $400,000 for a townhouse. Cohen: The issue that we’re facing is a public policy issue, not that different than after World War II. Because of federal housing policies, like guaranteed mortgages and deductions on taxes and interest, we went from being a nation of renters to owners. Now the issue is the poorer people, working people who service this economy, are going to have to live so far away that their quality of life will deteriorate. What has to accompany this gentrification is an effort to have some kind of public investment, either through tax expenditures or just through real money, to create housing so that workers can live a little bit closer to where they’re going to work. Knowledge@Wharton: How will mass transit develop in the coming years? Cohen: With density, mass transit becomes easier to do and more cost-effective. But one of the things about American cities is that we’re never going to be as densely settled as, say, European cities because of the development of our suburbs and the interstate highway system. We’re going to always have personal transportation in bigger numbers here than some other parts of the world, so that means that we have to move off the internal combustion engine to the electric vehicle. I think that process is well underway. Eventually, that electric vehicle will be lower cost than the internal combustion engine vehicle because it has fewer moving parts and is cheaper to run. Where we have density, then the use of buses and rail and light rail as a way of moving more people into densely settled areas is very important. Knowledge@Wharton: What about the development of public spaces and parks? Cohen: In some older cities, you have abandoned places that were industrial sites and have become toxic. You can do things to remedy those toxins enough and contain them enough that you can use that space for park land. There are some examples of that in the book. Also, re-purposing old industrial spaces. Again, the High Line in New York is a great example of that, but there are examples all over the world. One of the problems of living in the city is that you spend most of your time indoors. We need to get people outside into public spaces. They may not be pristine public spaces, but they’ll still be well-designed and places where people can hang out outside. Knowledge@Wharton: But that goes against the development principle of high density in order to maximize profit and use of space. Cohen: Right. But when you build a park, the surrounding places become even more valuable because they have visual amenities. Central Park is probably the greatest example of that. That was also one of things that had happened with the High Line. This converted freight train, which is a tiny little sliver of a park, is still very, very valuable and has done enormous things for the surrounding real estate. Parks and pretty much any amenity that gives you air, light and access to water can do quite a bit to generate increased real estate value. There’s a general move toward wellness. Once you get food, clothing, and shelter taken care of, now you’re thinking about your health, your children’s health, your physical fitness — and a whole range of issues become more important. Again, it’s in sync with sustainability. Clean air, clean water, a toxic-free environment, food that is healthful — people who advocate sustainability are in favor of these things, and so are suburban moms who want their kids to be healthy. I think that’s a part of why this move towards sustainability has broad, general support. Knowledge@Wharton: What is the smart grid and how that can play a role? Cohen: Our electric grid was built a block at a time, and it’s over 100 years old now. We waste a lot of energy moving it back and forth. It doesn’t allow for distributed generation of energy or generation from renewable sources within the household. To the extent that we can move to create a system of micro-grids that eventually get connected into a smart grid, we will have a much more durable and resilient energy system, especially if we couple that with more household generation of energy. Knowledge@Wharton: Doesn’t that go back to policy decisions like, say, not putting tariffs on solar panels coming into the country? Cohen: Yes. I think we also have to be spending more money on the research and development that will create the next generation of solar cells, particularly of battery technology. When I was in graduate school, the computer I used was the size of my bedroom and had less computing power than my iPhone. They shrunk those computers because the federal government spent a lot of money shrinking computers, essentially for missile guidance systems. We need to get back in the business of doing basic science for research and development because the commercialization of these technologies is what transformed our lives. Imagine the disruptive technology if that solar cell was the size of a window and the battery was the size of your laptop. Knowledge@Wharton: In the book, you mention the importance of waste management, not just in the United States but globally. Can you talk about that? Cohen: In Barcelona, they have a waste facility called Ecoparc. The garbage comes in. They sort the wet and dry. They have an anaerobic digester which takes the food and turns it into fertilizer. They have a waste-to-energy plant that burns what’s left over and gets electricity out of it. The ash is used to pave roads. The good news is more and more of America’s garbage is either recycled or treated, and we are producing a little bit less per capita than we were 20 years ago. So, I think we’re gradually heading in the right direction. In part, it’s economics. Garbage costs money now. It used to be a lot cheaper to get rid of your garbage. It used to be a lot cheaper to get your water brought to your home. All these things are becoming cost factors for families and for businesses, which is a result of us being on a more crowded planet. But that opens up the possibility of revenue streams that can amortize the capital expenditures for facilities that apply technology to keeping our environment clean. Knowledge@Wharton: You expect innovation will continue? 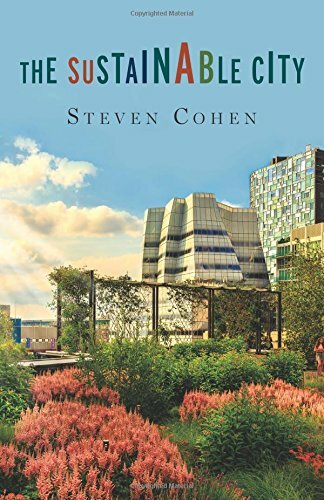 Cohen: One of the themes of my book is that this idea that environmentalists sometimes portray, that you’ve got to do without, sacrifice, in order to keep the world clean, is just simply not true. The U.S. economy has been growing pretty steadily since the 1980s, with a few exceptions. And the absolute level of pollution has gone down since the 1980s. It’s not that we’re sending all the dirty stuff to Mexico. Most of our air pollution comes from power plants and motor vehicles, and we have a lot more of them now than we used to. But we built the catalytic converter. We built scrubbers. We do the things we need to do because we know if you don’t keep the place clean, you’re going to pay for it later on. Knowledge@Wharton: Do you feel confident that some traditional automakers are investing in electric vehicles and partnering with entrepreneurs and innovators in this sector to get ready for that next step? Cohen: Yes, because we’re in a global economy. Even if the American political process is stuck in the mud, you’ve got Europe and China and huge markets that American companies want to play in. The political calculus may not make sense here, but when you think about your future as a company and look globally, you start thinking that’s what’s going to happen. In India and China, there’s such a hunger for mobility and motor vehicles and mass transit. If you’re in that business, you want to think about the technology of 10 or 20 years from now, not the stuff from 10 or 20 years ago. Will India Overcome Challenges to Build Smart Cities? India’s ambitious plan to build 100 smart cities could face formidable challenges, some of which are unique to the country, experts said at the recent “One Globe: Uniting Knowledge Communities” conference. It is tragic that civic leaders have consistently avoided implementing the one change in public policy that would lead to a very natural movement to sustainability: a land-only property tax base. The economics is well-documented, and there are real-world examples of at least partial implementation of this approach to raising revenue to pay for public goods and services. Hong Kong, Singapore and Taiwan each have moved in this direction to some degree. Hong Kong, with land held under lease, has long captured a good deal of location values (i.e., ground rent). A number of communities in the State of Pennsylvania, including the state Capital of Harrisburg, have adopted a two-rate form of property tax, imposing a much higher rate of taxation on the assessed value of land parcels than on the structures constructed thereon. The idea is to induce owners of land to improve the land they hold to its highest, best permitted use. The side effects of a high enough tax to capture a good portion of a location’s potential rental value is to remove a good deal of the potential to profit by hoarding locations purely for speculation. Another side effect is to dampen development pressure on outlying land, curbing sprawl.